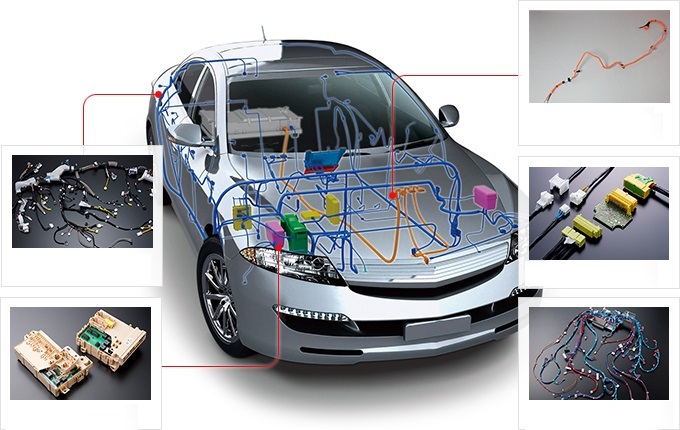 Thereafter, automotive electrical components became an integral part of vehicles. The electrical system not only helps the engine get started but also ensure the safe driving. Besides, there are so many things which you should know about the electrical components and how they function in the car. Alternator: In the early days of modern cars, the gas used to charge the battery while today alternator or dynamo has taken its place. The alternator is connected to the engine through gear and when the engine runs, the alternator draws power from the engine which in turns generate electricity. Electricity keeps the battery charged and also fulfills the requirements of all the electrical components. Battery: Battery is the most essential electric vehicle parts. It transmits power to a self-starter to start the engine of a car. Besides, starting the engine of a car, the battery can also be used in place of the generator. For example, you can play the audio system in your car when the engine is off and at the same time, it supplies power to headlights and air-conditioning too. In fact, it is the backbone of the electrical system in a vehicle. Starter: It serves only one but very significant purpose and that is to start your vehicle. The battery-powered starter rotate the flywheel, helping the crankshaft to run at a required speed to keep the engine running. Starter receives a punch of electric energy in second therefore it is advised to keep headlights, audio system off before using the starter. It will ensure the long life of it. Fuel Pump Switch: Petrol engine needs sparks to fire and the ignition coil helps to burn the fuel while in diesel engine needs the pump to remain on to keep injecting fuel so that the engine would continue to run. Cooling Fans: In the traditional model of cars, cooling fans (also known as radiator fan) was connected with the engine. However, with the advancement of technology in the car, mainly after 4WD advancement, the cooling fans are connected to the battery so that it can run even when the engine of the car is off. Air Conditioner Blower: There are fans in the passage of the switch knob which are electric-powered. The fans circulate the air into the car cabin. Lighting: The entire lighting system in the car is electrified. They are battery-powered so that they can be kept on even when the car is not running or off. In the traditional model, the gas was used for lights. Motor: There are some of the motors in the car which are both electric and battery-powered. The wiper ensures safe driving by wiping the rainwater from the front glass while window glass can also be operated through the switch. Besides, the side glasses in most of the cars are also adjusted through a switch which is both battery and electric-powered. Similarly, there are so many other automotive electrical components which hold a significant place in automobiles components. These are very crucial parts for the car and when any one of them is not functioning properly, experts suggest that one should immediately rush to the mechanic to avoid any dangerous (very costly) harm. You can easily find the electrical parts of the car as most of the automobiles parts manufacturing companies produce these parts at primary level.